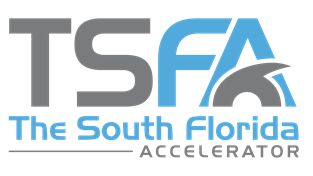 TAMPA, FL / ACCESSWIRE / July 18, 2018 / The South Florida Accelerator, LLC (TSFA), an innovation aggregator and early stage venture fund, and Pacira Pharmaceuticals, Inc. today announced the creation of The Center for Analgesic Transformation, a think tank committed to developing opioid minimization solutions through the utilization of non-opioid analgesics, including EXPAREL® (bupivacaine liposome injectable suspension). EXPAREL is a non-opioid pain management option for achieving long-lasting pain control after surgery via infiltration into the surgical site or administration as an interscalene brachial plexus nerve block. "I am pleased to work with Pacira and TSFA to help launch a center dedicated to creating strategic solutions to combat the opioid crisis by focusing on prevention of addiction to opioids following surgery," said Devanand Mangar, M.D., F.C.C.P, cofounder of The Center for Analgesic Transformation. "Tampa possesses a robust and accomplished healthcare community that is rich in intellectual capital focused on improving patient outcomes through opioid minimization strategies, making it an ideal location to anchor The Center for Analgesic Transformation." Additionally, a JAMA Surgery study found more than two-thirds of postsurgical patients report unused prescription opioids - and the majority indicate that these medications are neither safely stored nor disposed of - suggesting a dangerous accumulation of opioids in the home, which are available for potential diversion or misuse. "Reducing unnecessary exposure to opioids following surgery is an essential component for preventing opioid addiction before it begins," said David Stack, chairman and chief executive officer of Pacira. "We look forward to collaborating with Dr. Mangar and The South Florida Accelerator to disrupt the opioid epidemic by strategizing innovative solutions focused on prevention through the use of non-opioid analgesics." Pacira Pharmaceuticals, Inc. is a specialty pharmaceutical company dedicated to advancing and improving postsurgical outcomes for acute care practitioners and their patients. The company's flagship product, EXPAREL® (bupivacaine liposome injectable suspension) was commercially launched in the United States in April 2012. EXPAREL utilizes DepoFoam®, a unique and proprietary product delivery technology that encapsulates drugs without altering their molecular structure, and releases them over a desired period of time. To learn more about Pacira, including the corporate mission to reduce overreliance on opioids, visit www.pacira.com. Pacira. United States for Non-Dependence: An Analysis of the Impact of Opioid Overprescribing in America. September 2017. [Analysis in the report was based on research conducted by the QuintilesIMS Institute].